From June through August, BaxterSports holds camps across the Portland metro area. For a single day or for a whole week, your son or daughter will play, learn, grow, and excel at a local, community park. We offer something for everyone, from our original soccer camp to our non-stop all-sports camp. 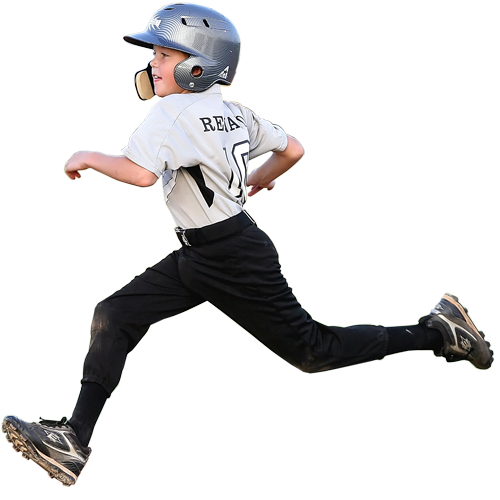 We can help your child advance to a competitive level as an individual player or with their entire team. Check out our options below to find the right camp for you this summer. If your child loves soccer already or is interested in learning and developing new skills, then this is the perfect camp for you. With skilled and involved coaches and an easy going environment, they’re sure to love it! 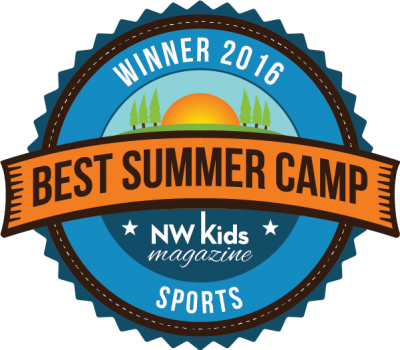 BaxterSports is honored to have been voted “best summer camp” six times in a row by NW kids magazine. 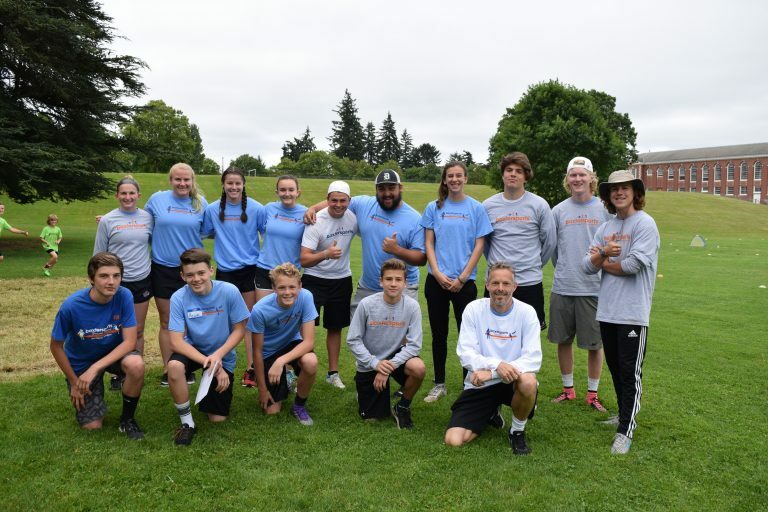 Parents and kids across the Portland metro area have discovered, supported, and trusted BaxterSports summer camps as the #1 place in the city to have fun and to become a better athlete. Maybe kids appreciate that all of our coaches think its better to love the game than to win the game; maybe parents value our commitment to the Portland community. Many families love our mix of multi-sports training camps; others have discovered their kids come away from a BaxterSports camp with a better, more confident sense of self. We think we’re the best because of our focus on the whole person. We know that learning better soccer or basketball skills happens best when kids are having fun. We respect our players as great kids and we encourage them to exceed expectations on the field and off through praise, support, and our own love of the game. Parents have come to trust the coaches and coaching philosophy at BaxterSports because we live what we coach, offering our best effort and sharing our positive attitude with our players all year long. 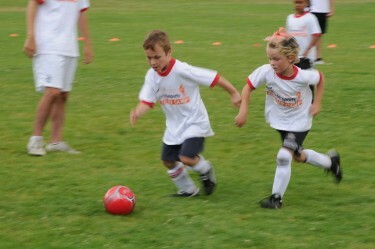 BaxterSports competitive soccer camp is for the serious young athlete ages 11 to 18. This camp teaches the skills needed to compete in the increasingly advanced leagues and levels of the sport. Part of what makes BaxterSports summer camp stand out is the range of options for all skill levels. Whether your son wants to learn the fundamentals of basketball or your daughter is hoping to level up to a more advanced soccer game, we have a camp that is right for your them! We accommodate all ages, from kindergarten through high school, and all levels of enthusiasm, from hesitant beginner to aspiring pro. From decades of experience, our coaches are able to work with every child at their level. Each camp brings together players from all over the city with a wide range of experience who all have one thing in common: a love of sports. There are new skills and new moves for everyone to learn, no matter how advanced they are, so each day your son or daughter will have something to be proud of when they get home. Does your team have a goal for this season? Here at BaxterSports we will work directly with your team to create a fun week of drills, scrimmages, and personal growth. These are designed for all the whole team to level up together. BaxterSports knows that kids love all kinds of sports, not just soccer. This week-long camp gives your young athlete a chance to play basketball, baseball, soccer, flag football, and ultimate Frisbee, just to name a few.